Former D-League Canton guard Will Cherry has agreed to a two-year deal worth the NBA minimum with the Toronto Raptors, a source told Yahoo Sports Wednesday. Cherry averaged 11.6 points, 4.5 assists, 3.7 rebounds and 1.4 steals per game for Canton last season. 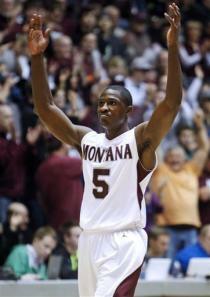 The 6-foot, 185-pounder went undrafted out of Montana in 2013. Cherry also received strong interest from the Cleveland Cavaliers after playing for their summer league squad this year. The Oakland, Calif., native is expected to sign the partially guaranteed contract in the coming days.